Most buildings aren't complete without a roof. So it's very unfortunate that the majority of the construction industry's serious accidents involve falls from roofs. According to the Center for Construction Research and Training (CPWR) Data Center, roof accidents account for as many as 34% of all industry accidents. Admittedly, being high in the sky is not man's natural environment. 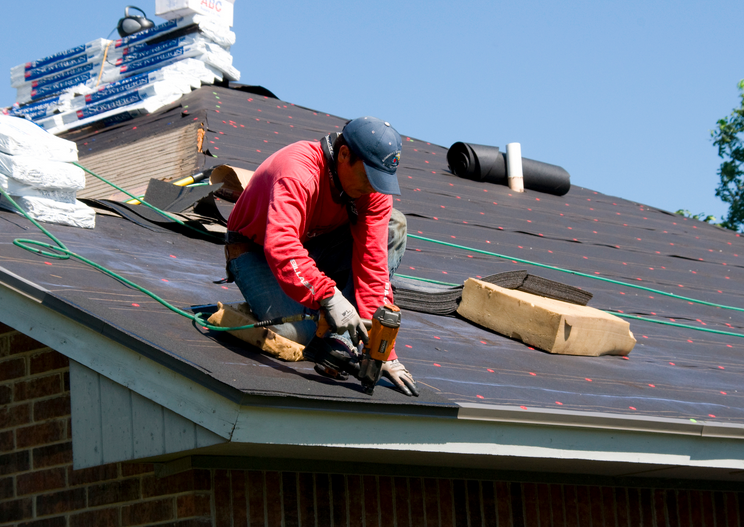 There is no sure proof method for anticipating and avoiding all accidents concerning roofing work. But by following the roofing safety tips below and instituting other safety practices at worksites, rooftops can be a lot safer. 5. Talk The Talk........ Safety training for roof work should be frequent, and include site workers with even a marginal connection to it. The CPWR study cited above indicated that many workers who suffered roof falls were Hispanic and immigrant workers, so it's possible that cultural and language barriers are a factor. Firms employing workers for whom English is not a first language need to insure that they are providing appropriate multi-lingual training and site signage. 4. .....And Walk The WalkRoof construction safety procedures and protocols apply to everyone who visits the work area. Everyone. Use a Construction Management Tool such as Raken to automate safety notifications and make sure that any safety related issue is treated accordingly in real time. 3. Clothes Make the Roofer.......To avoid roofing accidents, all workers should be wearing helmets, gloves, non-impeding clothing, and work shoes with appropriate tread. And all of these items should be worn correctly. 2. .....And So Does Fall ProtectionIf workers aren't wearing properly sized body harnesses, then the work area should have guard rails or safety netting. 1. Look Out Below!Don't forget to protect ground workers and site visitors during roofing work! Equipment such as all-terrain forklifts can transport dumpsters to rooftops, eliminating the need for throwing debris off of the building. Utilize these roofing safety tips and create a safer construction job site for you and your workers. Learn how to create a construction safety checklist using Raken.